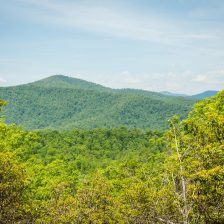 Looking for a place with a view where you can get away from it all and enjoy all that the mountains of North Carolina have to offer? Come to Sutton Knob where long-range mountain views go hand in hand with outdoor activities and the comforts of a luxurious mountain cottage. 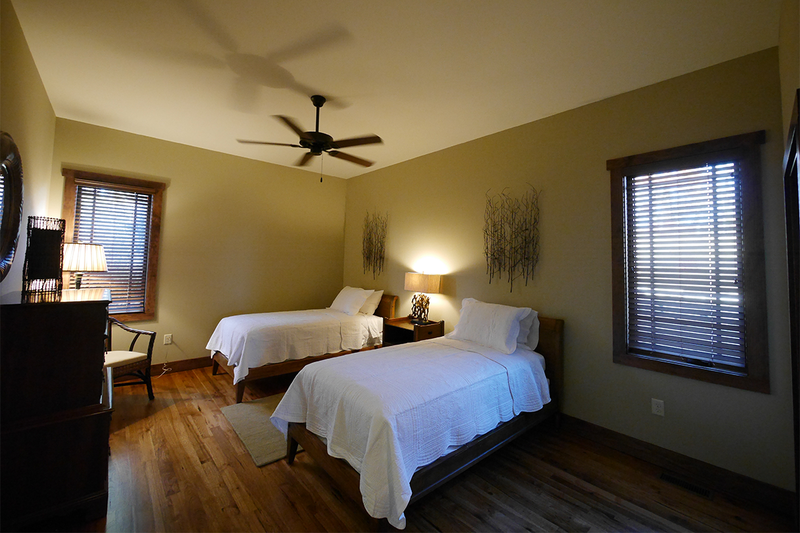 The first two rental cottages at Sutton Knob offer luxurious accomodations with world class views, but at an affordable price. The two-bedroom cottages offers incredible long-range views from nearly every room of the traditional, craftsman-style homes. Inside the cottages visitors will find all of the modern amenities they need, as well as incredible views of the nearby Pisgah National Forest. New this year is a third cottage that offers a three bedroom floor plan on two floors designed to house larger families. 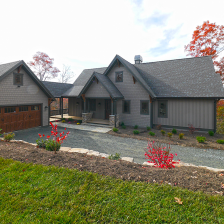 The Chinquapin Cottage is the newest home to our program that has been custom built specifically to meet the needs of our vacation rental guests. The property owner worked hand-in-hand with Deer Ridge throughout the entire building process to build a property that would exceed guests expectations. All three of the cottages feature timber frame interior elements, wood floors, large decks and stone fireplaces that are sure to provide guests with a true mountain vacation experience thanks to the unique combination of rustic elements and elegant design. 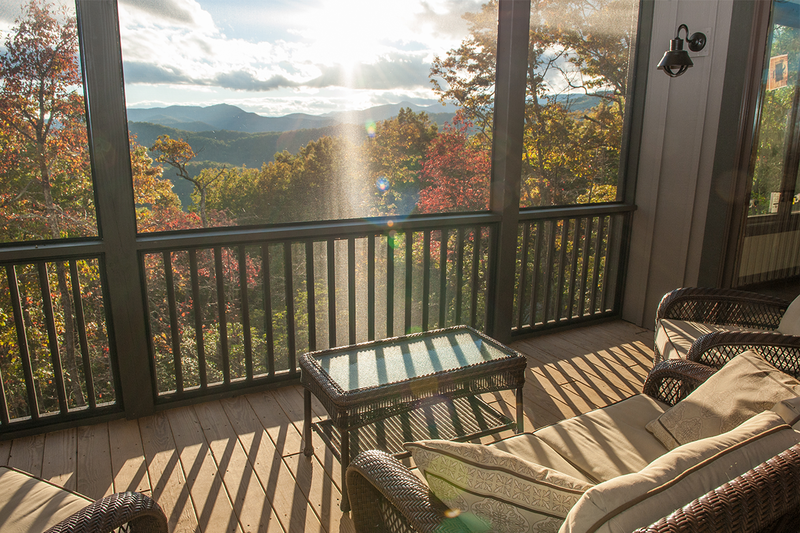 The cottages at Sutton Knob are crafted with the outdoor enthusiast in mind and feature screened porches with beautiful views, gas grills and garages with ample space for gear storage. 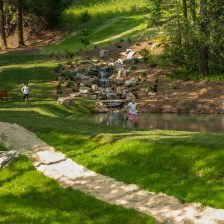 Other amenities such as outdoor fire pits, on-site trails and community gathering areas ensure that the adventure doesn’t end once guests return to Sutton Knob. 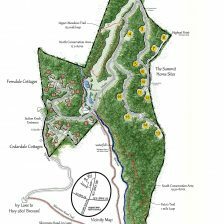 We invite you to visit and enjoy Sutton Knob’s unique approach to the mountain getaway experience by exploring the miles of hiking trails that criss-cross around 40 acres of dedicated green space. 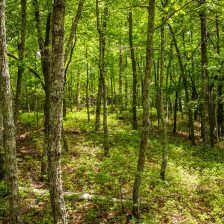 The landscape includes creeks, ponds, grassy meadows and beautiful hardwood forests. Sutton Knob is more than a vacation; it’s an adventure. For more information on booking a cottage at Sutton Knob, contact Deer Ridge Property Management at (828)862-8134 or by emailing info@deerridgepm.com. 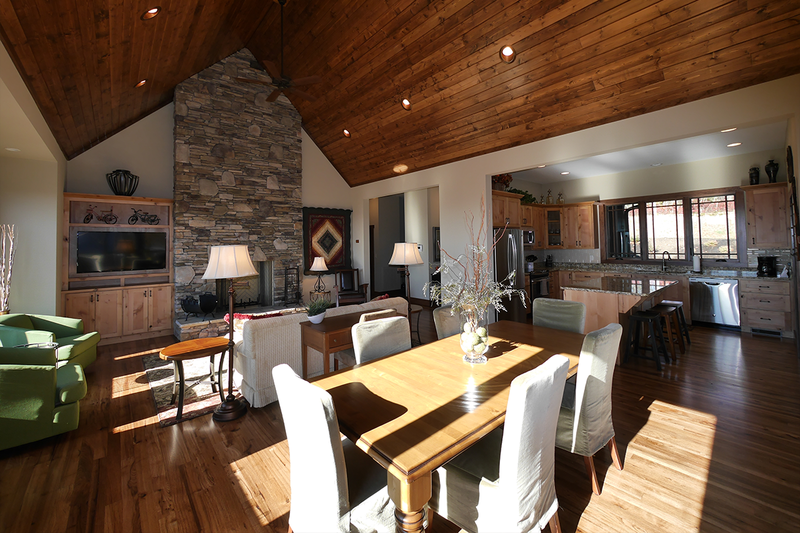 The open floor plan of the great room features a large stone fireplace, dining room and easy access to the kitchen, as well as great views of the Blue Ridge Mountains. 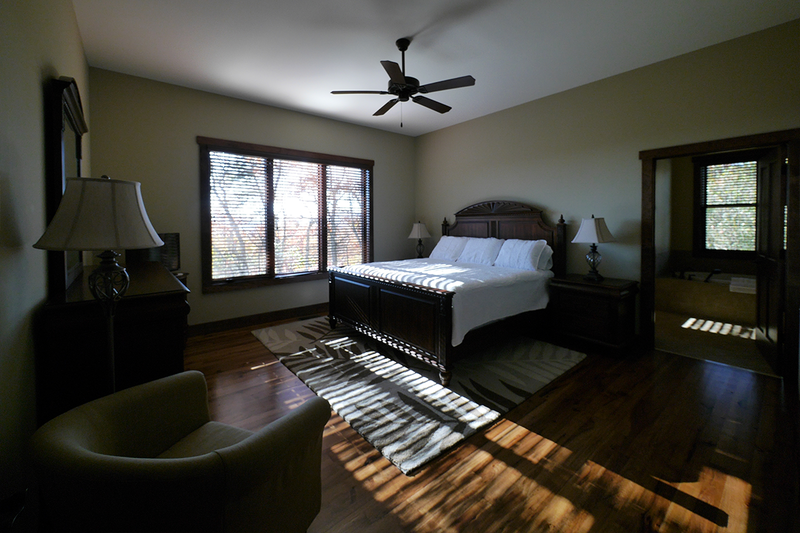 The spacious master bedroom features a spectacular view of the mountains. 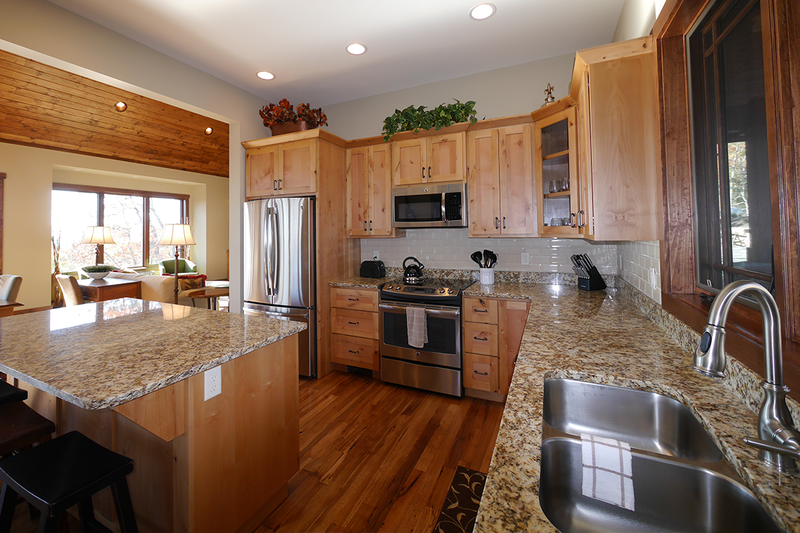 The custom kitchen has all of the amenities guests could ask for while visiting Sutton Knob and the access to the great room makes it easy to socialize. The second bedroom offers plenty of space for two and features a large closet and an attached bathroom.